ZTE has announced the Blade S6, a 5-inch Android phone with impressively up-to-date specs and a reassuringly affordable US$250 (£170, AU$314) price. Want high-end phone specs but don't want to pay the earth? That's what the ZTE Blade S6 is all about. It gets you a 720p 5-inch screen, 64-bit Snapdragon 615 processor, 4G mobile internet and a high-end camera setup for a fraction of the price of a top-end phone. 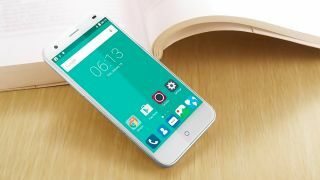 While it doesn't look like the ZTE Blade S6 will be sold through any of the main networks in the US or UK, it will be available through AliExpress, as well as Amazon and Ebay in certain places. Fingers crossed that will include places near us. A $249.99 price makes the Blade S6 seem like top value on first glance, and it has a bit more style than most ZTE devices. It takes design cues from the previous ZTE Nubia phones, which have not to date been widely distributed in the west. As well as plenty of capable components, the ZTE Blade S6 also features Android Lollipop, along with the MiFavor 3.0 custom UI. This adds plenty of gesture controls and a different look, although it's the quality of hardware for the price that's really notable in the Blade S6. It offers a 5-megapixel selfie camera as well as the same IMX214 13-megapixel main camera sensor seen in more expensive phones including the OnePlus One and Xiaomi Mi4. ZTE will show off the Blade S6 during MWC 2015 in March, before putting it on sale later this year.